DO YOUR HEELS HURT? ARE YOU TIRED OF LIMPING AROUND WHEN YOU GET OUT OF BED IN THE MORNING? Don't Let Plantar Fasciiatis Stop You In Your Tracks. 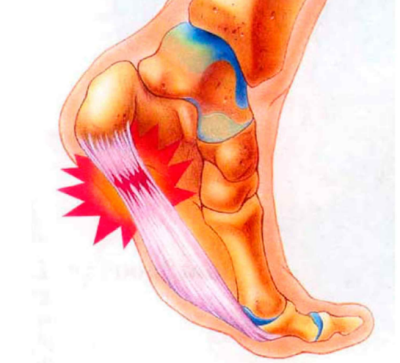 Plantar fasciitis is the most common foot condition treated by healthcare providers. Dr. Mandel will share information about the causes, symptoms, preventative measures, and management techniques of Plantar Fasciitis.